A natural leader both on and off the road, the Jeep Wrangler is ready to take you on new adventures! This iconic rock-crawler is loaded with off-roading capabilities that make taking on new terrains and less-than-ideal weather conditions a breeze. It also comes loaded with comfort-focused and high-tech features that make it ideal for commuting to and from work as well! In the 2019 model year, the Wrangler is offering a new optional Advanced Safety Group which adds more safety features and a brand new exterior color option called Bikini. Want to learn more about this incredible and unrelenting SUV? Keep reading the rest of our comprehensive review! 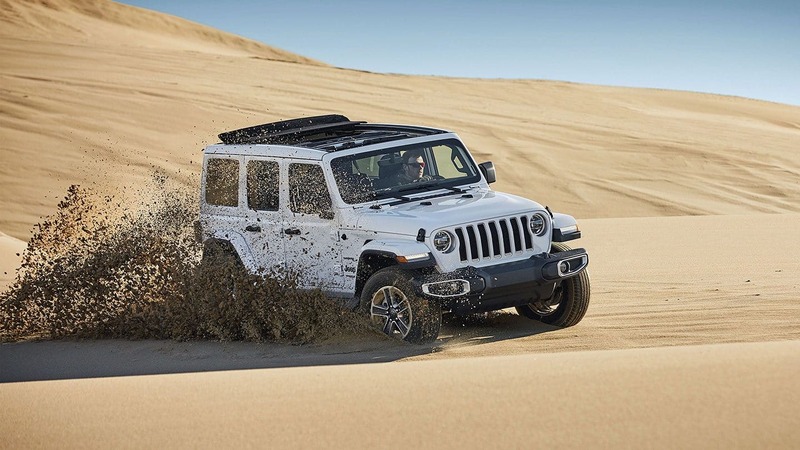 Offered in two body styles, the Wrangler is available in a total of five trim levels for the 2019 model year. 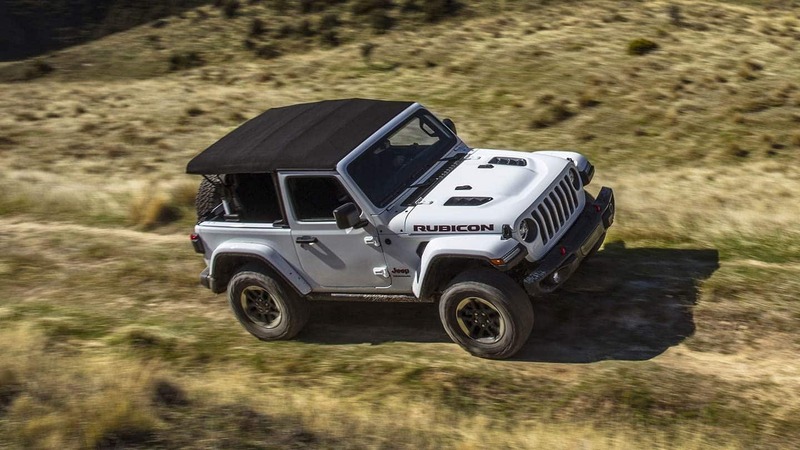 The two-door Wrangler is available in the Sport, Sport S, and Rubicon while the four-door Wrangler Unlimited is available in two additional trims known as the Sahara and Moab. 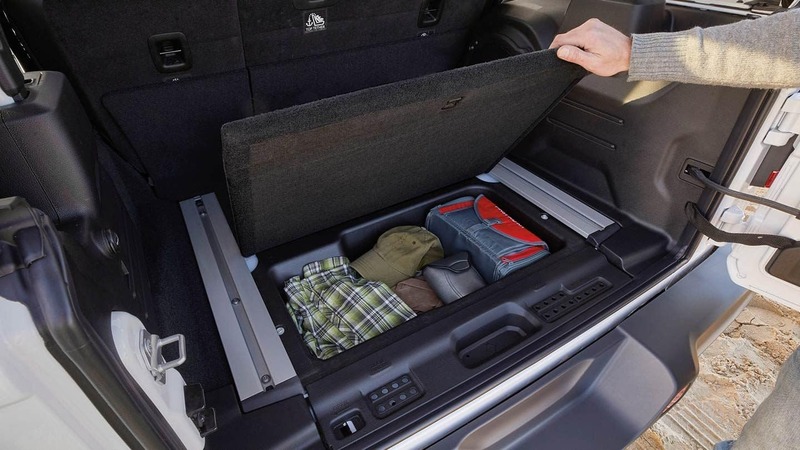 Standard features include skid plates and tow hooks, cruise control, a full-size spare tire, manual mirrors and locks, tilt/telescoping steering wheel, fog lights, 17-inch steel wheels, removable full metal doors, and a fold-down windshield. Standard tech features include a 5" touchscreen, a rearview camera, a USB port, Bluetooth, and an 8-speaker sound system. 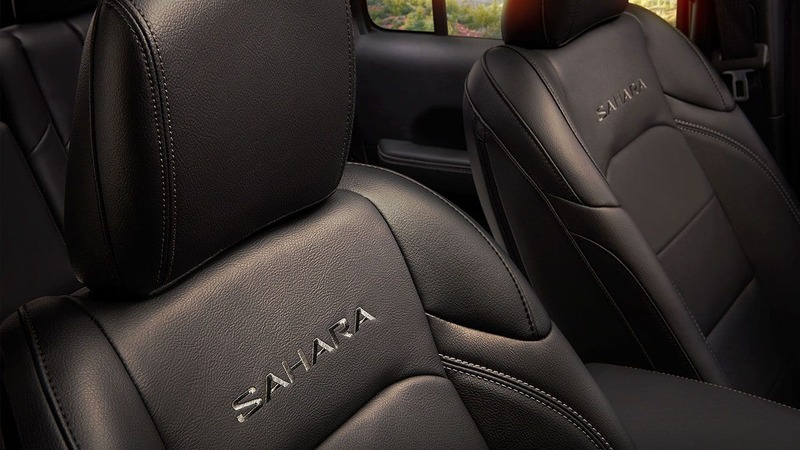 As you climb up through the trim levels you will find features like automatic headlights, a 7" or 8.4" touchscreen, 4WD, leather upholstery, driver assistance features, Apple CarPlay and Android Auto, navigation, off-roading tires, heavy-duty axles, electronic lockable differentials, and a steel front bumper. In the 2019 model year, there are two engine options available to power the Wrangler. 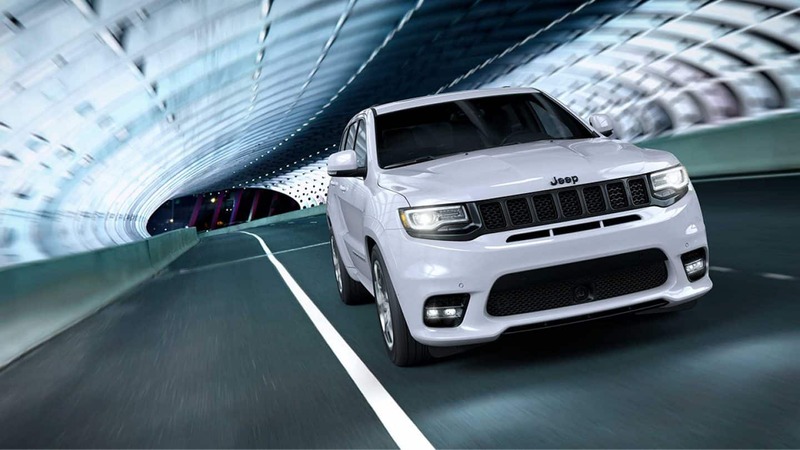 The standard powerhouse under the hood of this capable SUV is the 3.6L Pentastar V6. This engine is pumping out 285 horsepower and up to 295 pound-feet of torque. This engine is estimated to get up to 25 miles per gallon according to the EPA and comes mated to a six-speed manual transmission. If you would prefer an automatic, there is an eight-speed transmission available. The second engine available is a turbocharged 2.0L 4-cylinder that generates up to 268 horsepower and 295 pound-feet of torque. This engine is also estimated to get up to 25 mpg on the highway and comes mated to the eight-speed automatic transmission. For off-roading capabilities, there are three 4x4 systems available for the various trim levels. 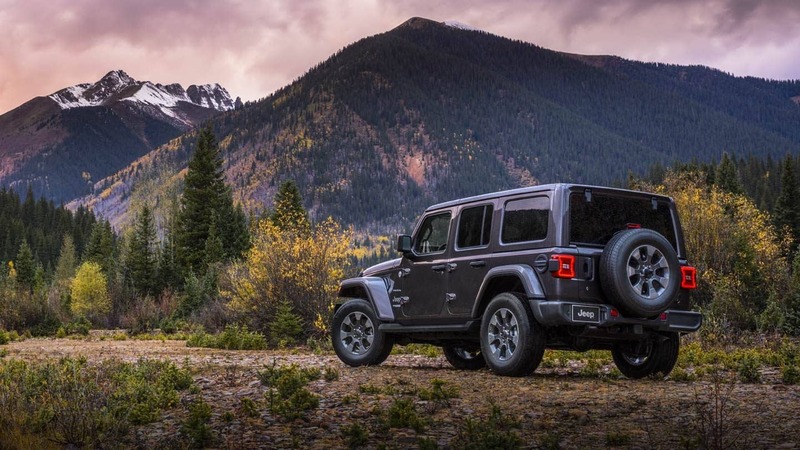 The road and the trail can bring surprises that compromise your safety, that's why the 2019 Jeep Wrangler has your back with advanced safety and security features that you can count on. 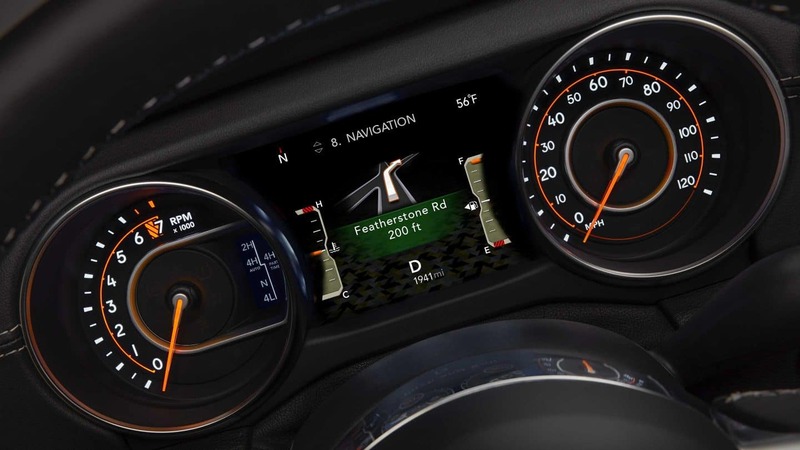 The brand new available Advanced Safety Group adds advanced active safety features to the Wrangler. These include Full-Speed Forward Collision Warning with Active Braking and adaptive cruise control for models with an automatic transmission or Enhanced adaptive cruise control with the manual transmission. The standard rearview camera makes it easy to back into parking spaces or out of the driveway with dynamic guidelines while the available rear park assist system uses sonar sensors help you nail that parallel parking! There are so many more standard and available safety features for you to count on when out on the road or trail. 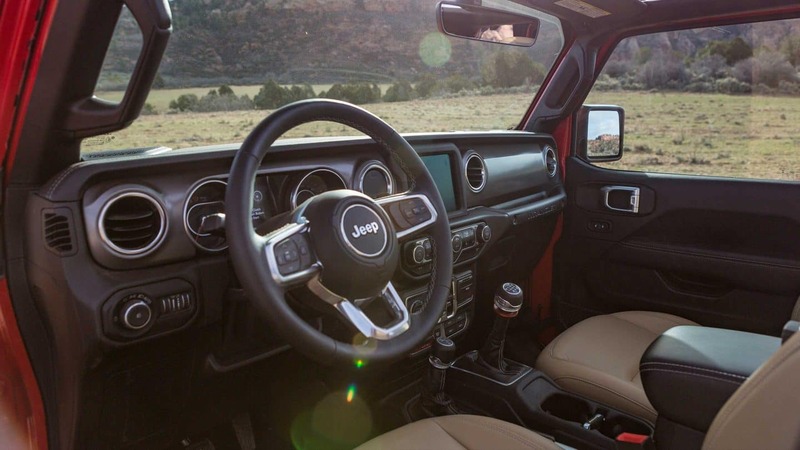 The 2019 Jeep Wrangler is ready to take your time behind the wheel to new heights! If you are interested in learning more about the Wrangler and all that it has to offer come on down to the dealership. One of our sales associates would love to take you on a tour of the Wrangler and out for a test drive so you can experience just how great it is for yourself!